Prior to the Andean War the Ejército del Perú was poorly equipped with motor vehicles – the country’s poor road network made wide-scale employment of motor transport problematic and the cost of acquiring a large fleet of specialist vehicles was seen as a considerable deterrent. In 1935 orders were placed for 100 Chevrolet FC-type motor cars to serve as training vehicles in the Ejército’s recently established motor transport school, together with 20 Chevrolet “Suburban” carryall large cars equipped with radio signal equipment. These were followed by additional small quantities of American-produced Chevrolet, Dodge, and Ford motor cars – some of which were converted as light ambulances. The exigencies of the Andean War, together with the subsequent border conflict with Colombia, delayed further large-scale expansion of the Ejército’s vehicle inventory, while immediate needs were answered by impressment of a motley collection of civilian vehicles. In 1938 a group of local businessmen in the port of Callao founded a factory for the assembly of imported motor vehicles, in association with the Ford Motor Company of Detroit. This venture would, in 1940, become the kernel of the Empresa Nacional de Autocamiones. It received successive orders for the supply of motor vehicles for the Peruvian military, constructing local coach and body-work to meet military requirements. 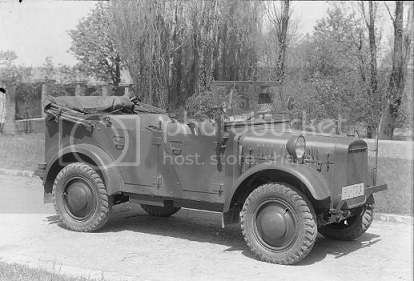 In 1941 the Ejército was able to arrange the purchase, in Germany, of a quantity of surplus reconnaissance cars of the Stoewer Type 40 – Einheits-Personenkraftwagen. 67 vehicles were delivered in 1942 and a further 115 in 1943. Assembled by the Empresa Nacional de Autocamiones at Callao using imported chassis and components with local body work, the Ford/Marmon Herrington is employed by the Ejército as light trucks, staff cars, light artillery tractors, ambulances, and a wide variety of other roles. Prior to 1936 what motor trucks served in the Ejército del Perú were commercial vehicles, mostly of American manufacture, that had been acquired on an ad hoc basis or requisitioned from private firms during the Andean War. In the aftermath of the conflict the Ejército sought to correct this deficiency through direct purchase abroad, turning first to North America. The Ford Motor Company received contracts for several batches of its G8T 1.5-ton conventional cargo truck, delivering 120 examples in 1937, 230 examples in 1938, and a final batch of 300 vehicles in 1939 – a total of 650 chassis, which were fitted with a variety of bodies in the Ejército’s own workshops. The orders to Ford were supplemented by orders to the Dodge-Fargo concern for Model VH-48 conventional trucks in the 3-ton class. The first Dodge trucks were received in 1941, with a total of 600 chassis being received – 100 of which were supplied with dump bodies for use by engineer construction units. In 1939 the Ejército held trials for three-axle tactical trucks to service in front line units. The Praga RV 2-ton chassis was found to be the most suitable and orders were placed for 300 chassis early in 1940. These were followed by orders for 400 chassis in 1941, and a further 400 chassis in 1942 for a total of 1,100 – most of which were fitted with cargo or troop-carrying bodies locally. In addition to the utility vehicles constructed on Ford 1-ton chassis, the Empresa Nacional de Autocamiones has undertaken the a assembly of larger vehicles on the Ford 3-ton chassis with Marmon Herrington four-wheel drive conversion kits. The first such vehicles were delivered in 1941, and to date more than 1,100 Ford/Marmon-Herrington trucks have been delivered to the Ejército. The Minerva M-20 was designed to meet the requirements of the Netherlands Army for a cross-country tactical vehicle capable of fulfilling a variety of roles. The vehicle saw wide service with the Netherlands forces in Ubangi-Shari, and has been adopted elsewhere. In 1946 the Ejército del Perú concluded with the Minerva firm an agreement for the procurement of a very substantial number of M-20 vehicles to replace the Ford/Marmon-Herrington and Stoewer light all-wheel-drive. The chassis and cowls of these CKD vehicles would be delivered for assembly by the Empresa Nacional de Autocamiones, with locally-designed body work to meet the Ejército’s requirements. The chassis of the M-20 is of welded steel construction. The suspension consists of underslung semi-elliptical springs and double-acting hydraulic shock absorbers. The gearbox has four forward and one reverse gears and a two-speed transfer box, while provision is made for a power-takeoff that can be adapted to a wide variety of roles, including the fitting of a winch. Variants constructed for the Ejército include ambulance, light repair, and radio vehicle.